This article is about the singer. For other people, see Donald McIntyre (disambiguation). Sir Donald Conroy McIntyre CBE (born 22 October 1934 in Auckland) is an operatic bass-baritone from New Zealand. McIntyre made his formal debut as Zaccaria in Nabucco , at the Welsh National Opera, in 1959. In 1964 he created the role of the Stranger in the world premiere of Gian Carlo Menotti's Martin's Lie at the Bath International Music Festival. He has appeared at Covent Garden (from 1967, debuting as Pizarro in Fidelio ), the Bayreuth Festival (from 1967), the Teatro alla Scala the Old Servant in Elektra, 2014), etc. 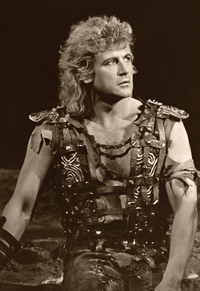 He first sang at the Metropolitan Opera in 1975, as Wotan in Das Rheingold , and was seen at that theatre until 1996. Welsh National Opera (WNO) is an opera company based in Cardiff, Wales; it gave its first performances in 1946. It began as a mainly amateur body and transformed into an all-professional ensemble by 1973. In its early days the company gave a single week's annual season in Cardiff, gradually extending its schedule to become an all-year-round operation, with its own salaried chorus and orchestra. It has been described by The New York Times as "one of the finest operatic ensembles in Europe". 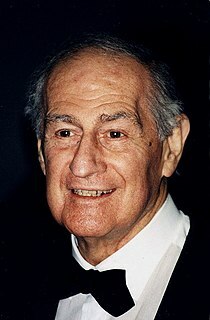 Gian Carlo Menotti was an Italian-American composer and librettist. Although he often referred to himself as an American composer, he kept his Italian citizenship. He wrote the classic Christmas opera Amahl and the Night Visitors, along with over two dozen other operas intended to appeal to popular taste. His discography includes Pelléas et Mélisande (as Golaud, with George Shirley and Elisabeth Söderström, conducted by Pierre Boulez, 1969), Parsifal (as Klingsor, opposite Dame Gwyneth Jones, 1970), Lohengrin as Friedrich von Telramund (conducted by Rudolf Kempe), Œdipus Rex (conducted by Sir Georg Solti, with Sir Peter Pears, 1976), Parsifal (as Gurnemanz, led by Sir Reginald Goodall, 1984), as well as Handel's oratorios, Messiah and Israel in Egypt . Pelléas et Mélisande is an opera in five acts with music by Claude Debussy. The French libretto was adapted from Maurice Maeterlinck's symbolist play Pelléas et Mélisande. It was premiered at the Salle Favart in Paris by the Opéra-Comique on 30 April 1902 with Jean Périer as Pelléas and Mary Garden as Mélisande in a performance conducted by André Messager, who was instrumental in getting the Opéra-Comique to stage the work. The only opera Debussy ever completed, it is considered a landmark in 20th-century music. George Irving Shirley is an American operatic tenor, and was the first African-American tenor to perform a leading role at the Metropolitan Opera in New York City. Anna Elisabeth Söderström was a Swedish soprano who performed both opera and song, and was known as a leading interpreter of the works of Janáček, Rachmaninov and Sibelius. She was particularly well known for her recordings of the lead soprano roles in the three Janáček operas Jenůfa, Káťa Kabanová, and The Makropoulos Affair, all of which received Gramophone Awards. The Gramophone critic John Warrack described her portrayal of Káťa Kabanová as "establishing by an infinity of subtle touches and discreet, sensitive singing the picture of Káta as the richest and most human character in the drama." A major accomplishment was his Wotan/Wanderer at Bayreuth in the Jahrhundertring (Centenary Ring) in 1976, celebrating the centenary of both the festival and the first performance of the complete cycle, conducted by Pierre Boulez and staged by Patrice Chéreau, recorded and filmed in 1979 and 1980. Also on DVD are Sir Donald's performances of Der fliegende Holländer (conducted by Wolfgang Sawallisch, 1974), Elektra (as Orest, with Birgit Nilsson conducted by James Levine, in Herbert Graf's production, 1980), Die Meistersinger von Nürnberg (conducted by Sir Charles Mackerras, 1988), Arabella (with Dame Kiri Te Kanawa, 1994), as well as another Elektra (conducted by Levine, 1994). The Jahrhundertring was the production of Richard Wagner's Ring Cycle, Der Ring des Nibelungen, at the Bayreuth Festival in 1976, celebrating the centenary of both the festival and the first performance of the complete cycle. The festival was directed by Wolfgang Wagner and the production was created by the French team of conductor Pierre Boulez, stage director Patrice Chéreau, stage designer Richard Peduzzi, costume designer Jacques Schmidt and lighting designer André Diot. The cycle was shown first in 1976, then in the following years until 1980. It was filmed for television in 1979 and 1980. While the first performance caused "a near-riot" for its brash modernity, the staging established a standard, termed Regietheater, for later productions. Pierre Louis Joseph Boulez CBE was a French composer, conductor, writer and founder of institutions. He was one of the dominant figures of the post-war classical music world. Patrice Chéreau was a French opera and theatre director, filmmaker, actor and producer. In France he is best known for his work for the theatre, internationally for his films La Reine Margot and Intimacy, and for his staging of the Jahrhundertring, the centenary Ring Cycle at the Bayreuth Festival in 1976. Winner of almost twenty movie awards, including the Cannes Jury Prize and the Golden Berlin Bear, Chéreau served as president of the jury at the 2003 Cannes festival. Queen's Birthday Honours are announced on or around the date of the Queen's Official Birthday in Canada, New Zealand and the United Kingdom. The dates vary, both from year to year and from country to country. All are published in supplements to the London Gazette and many are formally conferred by the monarch some time after the date of the announcement, particularly for service people on active duty. The Queen's Birthday Honours are announced on or around the date of the Queen's Official Birthday in the Australia, Canada, New Zealand and the United Kingdom. The dates vary, both from year to year and from country to country. All are published in supplements to the London Gazette and many are conferred by the monarch some time after the date of the announcement, particularly for those service people on active duty. 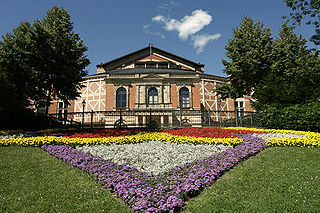 The Bayreuth Festival is a music festival held annually in Bayreuth, Germany, at which performances of operas by the 19th-century German composer Richard Wagner are presented. Wagner himself conceived and promoted the idea of a special festival to showcase his own works, in particular his monumental cycle Der Ring des Nibelungen and Parsifal. George London was an American concert and operatic bass-baritone. Theo Adam was a German operatic bass-baritone and bass singer who had international career in opera, concert and recital from 1949. He was a member of the Staatsoper Dresden for his entire career, and sang at the Bayreuth Festival from 1952 to 1980. He particularly excelled in portraying roles by Richard Wagner, especially Wotan in Der Ring des Nibelungen, which he also performed at the Metropolitan Opera, among others. In concert, he was a much admired Bach singer and also drew acclaim for his interpretation of the title character of Mendelssohn's Elijah. 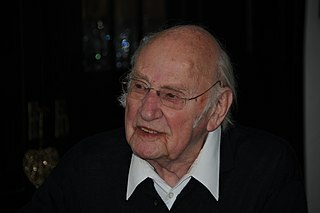 He was a voice teacher at the Musikhochschule Dresden. Siegfried Jerusalem is a German operatic tenor. Closely identified with the heldentenor roles of Wagner, he has performed Siegfried, Siegmund, Lohengrin, Parsifal, and Tristan to wide acclaim. Since the 1990s, he has focused on lieder, particularly those by Strauss, Mahler and Schumann. Thomas Stewart was an American bass-baritone who specialized in Wagnerian roles. Simon John O'Neill is a New Zealand-born operatic tenor. In 1998, his image appeared on the New Zealand one-dollar performing arts postage stamp. Peter Hofmann was a German tenor who had a successful performance career within the fields of opera, rock, pop, and musical theatre. He first rose to prominence in 1976 as a heldentenor at the Bayreuth festival's Jahrhundertring in 1976, where he drew critical acclaim for his performance of Siegmund in Richard Wagner's Die Walküre. He was active as one of the world's leading Wagnerian tenors over the next decade, performing roles like Lohengrin, Parsifal, Siegfried, and Tristan at major opera houses and festivals internationally. Franz Mazura is an Austrian bass-baritone opera singer and actor. He was made a Kammersänger in 1980 and an Honorary Member of the National Theater of Mannheim in 1990. He most often plays villains and strange characters. Alan Titus is an internationally celebrated baritone. Ortrun Wenkel is a German operatic contralto. She notably portrayed the role of Erda in the Bayreuth Jahrhundertring in 1976 and was awarded a Grammy Award as a Principal Soloist in 1983. Ekkehard Wlaschiha was a German operatic baritone who specialized in Wagnerian "villains", such as Alberich, Klingsor and Friedrich von Telramund. He performed at the Bayreuth Festival and at the Metropolitan Opera, and left many recordings. Wolfgang Neumann is an Austrian internationally known operatic heldentenor, who specialized in the operas of Richard Wagner. Hannelore Bode is a German operatic soprano. She performed at the Bayreuth Festival from 1968 to 1978, including Elsa in Lohengrin, Eva in Die Meistersinger von Nürnberg, and several parts in the 1976 Jahrhundertring, including Sieglinde in Die Walküre. She performed internationally and recorded operas with conductors such as Eugen Jochum, Silvio Varviso and Pierre Boulez. Norma Sharp is an American operatic soprano. She is known for singing Mozart and Richard Strauss, but also sang Wagner roles at the Bayreuth Festival. She worked mostly in Germany, made an international career, and has been a professor of voice at the Hochschule für Musik "Hanns Eisler" from 1992. Gerd Nienstedt was a German and Austrian opera singer, bass and bass-baritone. After an international career at major opera houses and the Bayreuth Festival, he was also a theatre director, stage director and academic voice teacher. Samuel Youn is a South Korean operatic bass baritone. Uwe Eric Laufenberg is a German actor, stage director for play and opera, and theatre manager who has directed at international opera houses and festivals, such as Elektra at the Vienna State Opera and Parsifal at the Bayreuth Festival. Manfred Jung was a German operatic tenor, who performed Wagner's heldentenor roles internationally, including the Metropolitan Opera and the Bayreuth Festival where he was Siegfried in the Jahrhundertring, but he also sang all other tenor roles in Der Ring des Nibelungen. ↑ London Gazette (supplement), No. 47104, 30 December 1976 [ permanent dead link ]. Retrieved 28 January 2013. ↑ London Gazette (supplement), No. 50155, 14 June 1985. Retrieved 26 January 2013. ↑ London Gazette (supplement), No. 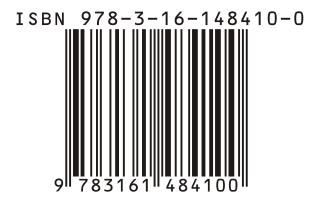 52953, 12 June 1992. Retrieved 28 January 2013.